The “Presidium of the State Council” of Crimea, following the Russian State Duma, created a working group to analyze the “damage” allegedly inflicted on the peninsula as part of independent Ukraine since 1991. The group was headed by the “first vice-speaker” of the Kremlin-controlled “parliament” of the Crimea Efim Fiks, RIA Novosti reports. It is worth noting that throughout his entire political activity, Fiks was part of the Ukrainian authorities in the Crimea, thus the official will сalculate the alleged damage inflicted by the power he himself used to represent before treason. 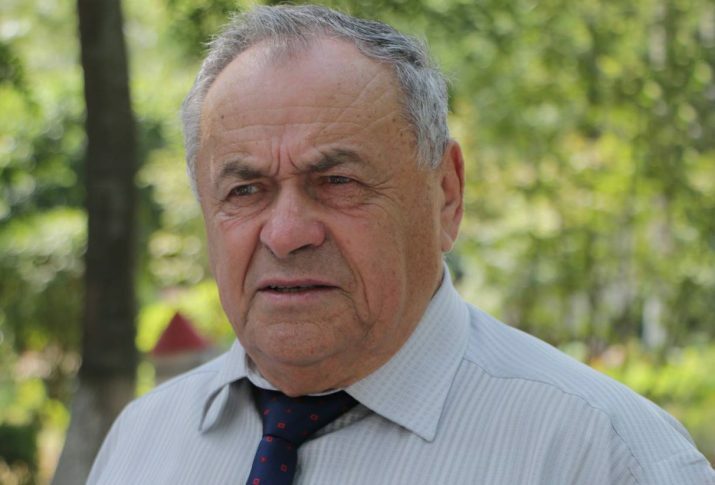 In 1990 – 1991, he served as a member of the Crimean Regional Council, in 1991 – 1994 he was a member of the Verkhovna Rada of the Autonomous Republic of Crimea. In 2004 – 2006 Fiks became already a member of the Verkhovna Rada of Ukraine on the Social Democratic Party of Ukraine (united) list, and after that he returned to the VR of the ARC: in 2006, he was elected from the “Ne Tak” opposition bloc, and in 2010, from the Party of Regions. Currently, Fiks is ​​a “member of parliament” of the Crimea from the party “United Russia” party. Prosecutor’s Office of the Autonomous Republic of Crimea accused Efim Fiks of high treason and put him on wanted list. The infrastructure has been brought to a terrible state. Now we need more than a dozen years to restore it, – Konstantinov claims. However, real damage to the peninsula was caused after the Russian occupation in 2014. For example, in 2014, Crimea lost 85% of its water supply through the North-Crimean Canal, which was built in 1961-1971 for the needs of the Kherson region and the Crimea. The annexation of Crimea led to the withdrawal of the largest companies from the peninsula, as well as the international payment systems Visa and Mastercard, and a significant increase in prices for all goods and services. The idea of the need for compensation to be recovered from Ukraine for the Crimea and Sevastopol was voiced by State Duma Speaker Vyacheslav Volodin on March 15, 2019. He made a corresponding statement in Simferopol during a joint meeting of the Council of the Russian State Duma with the Crimean “parliament” dedicated to the fifth anniversary of the seizure of the Ukrainian Crimea by Russia.